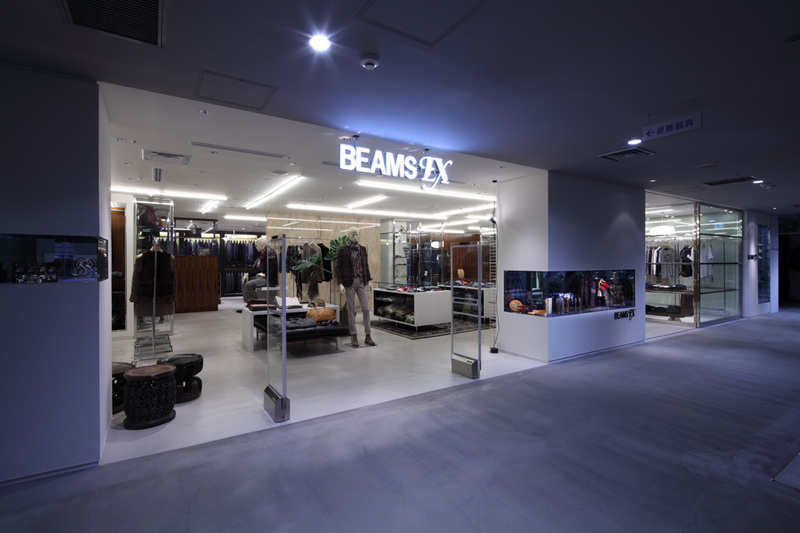 Beams Ex opened a new store on the 7th floor of the Fujii Daimaru shopping center in Kyoto in September 2012. 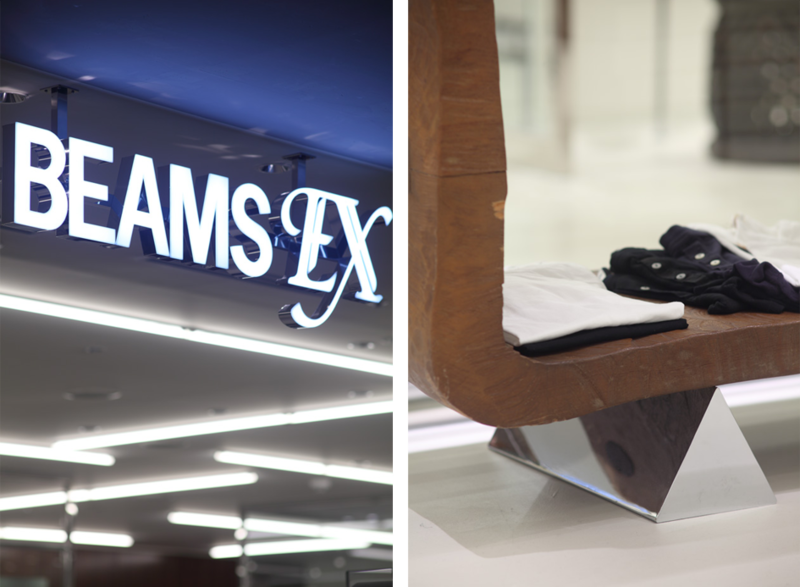 Its collection is aimed at professional men, offering job-appropriate suits, quality dress-down items and tasteful accessories. 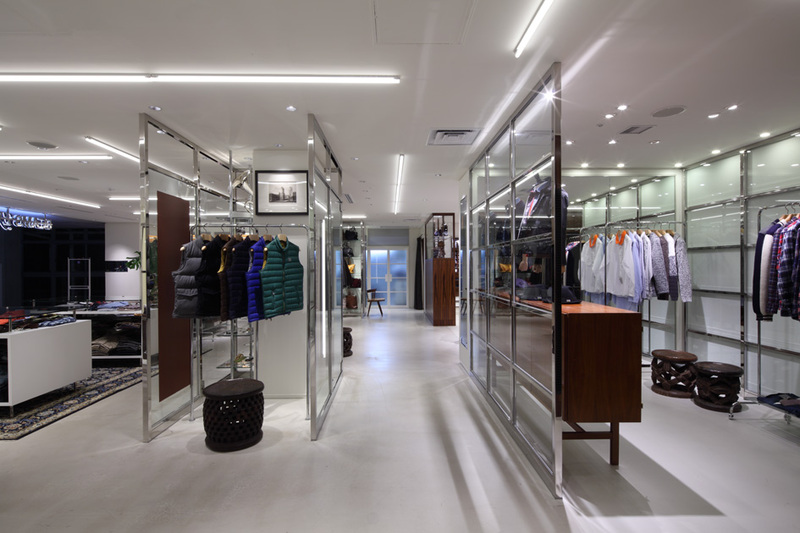 Jamo designed the interior to have a sense of harmony with the concrete floor that is the same for common space of the building. 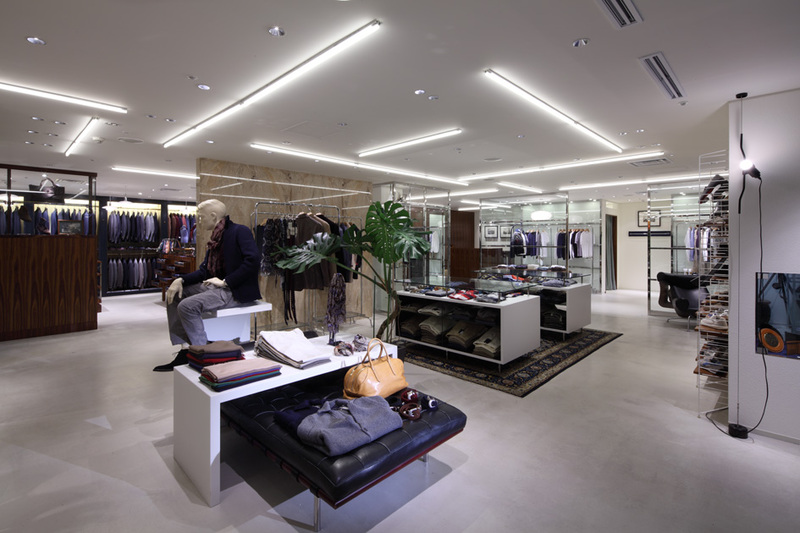 We developed the interior around cold materials to create an image of a new type of man who breaks away from tradition. Glass partitions are set up around a large central stone column. 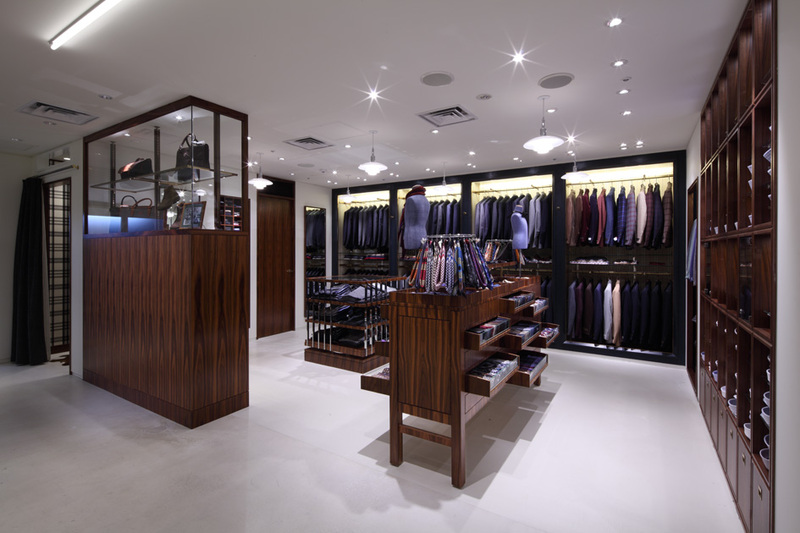 The rhythmic placement of the partitions makes moving around the store enjoyable while also establishing clearly delineated product areas. 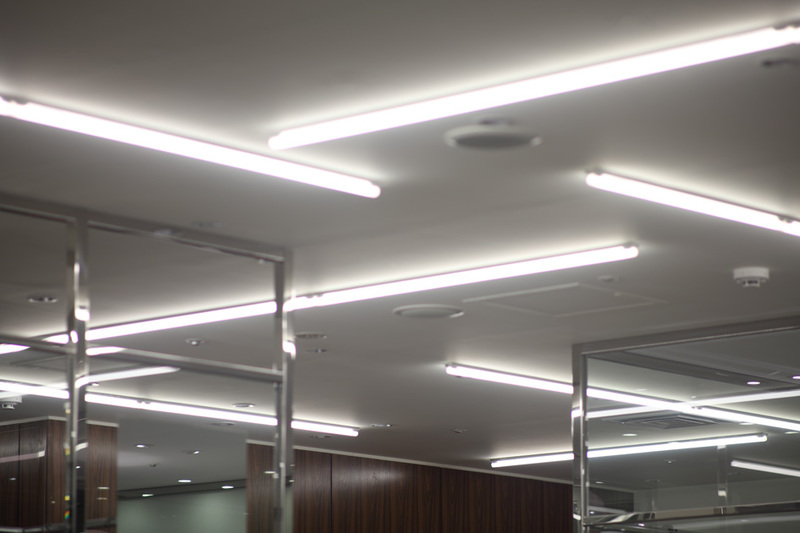 Layout of fluorescent lamps in the ceiling creates a graphic element and brings out the true colors of the product. 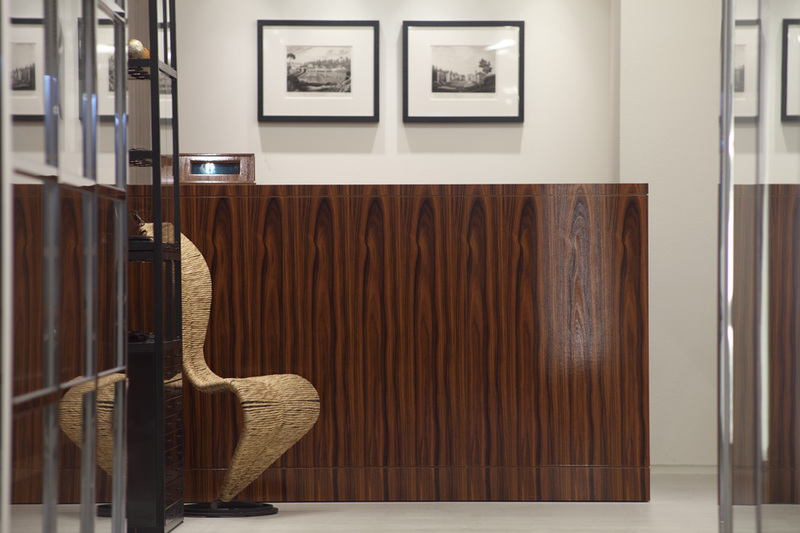 Stools from Africa, plants, and other organic object and accent pieces help bring the space together as a unified whole.